Should I redesign my dining room? Most people don’t know where to begin refurbishing their dining room, yet it’s one of the most favourite rooms in the home. Great memories are often made in the dining room. Breaking bread with loved ones and sharing good food and conversation is one of life’s many pleasures. 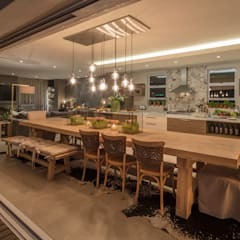 If you have a large family and enjoy entertaining guests, the dining room will probably be a focal point in your home, whereas if you have a smaller home and like to maintain an informal, cosy atmosphere, it’s likely your dining room will be an extension of your kitchen. It’s therefore key to make sure it is comfortable and functional. A dining room should be a warm, welcoming, feel-good space people can spend hours in. The perfect reason to refurbish and begin shortlisting dining room ideas on homify! 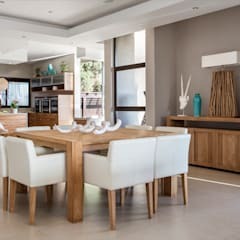 Whether you like to embrace the sleek, modern style, or prefer to stick to traditional, classical designs, at homify, there are plenty of suitable dining room design ideas on offer to help you create a dining room which is perfectly tailored to your tastes and requirements. At homify, we have many dining room ideas you can look through. 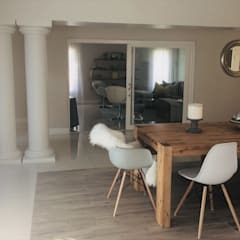 What should I focus my dining room redesign on? Paint- A fresh coat of paint can transform the entire room. 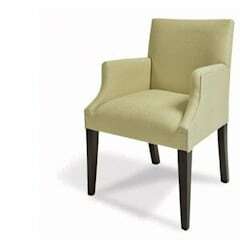 It can freshen it up room up and even make the room look more spacious. 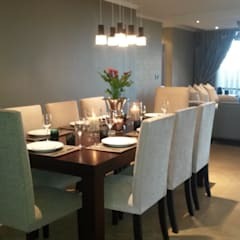 Light colours including creams and light pastels can make the dining room look larger. 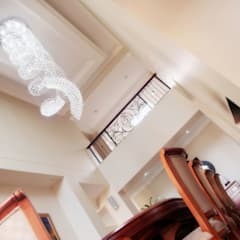 Lighting- Lighting can help make the room brighter. There are a number of modern lighting fixtures that can be installed. 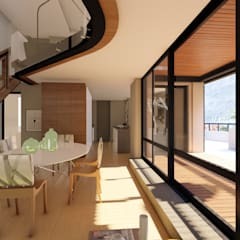 They will provide additional light and a modern look and feel to the dining room. 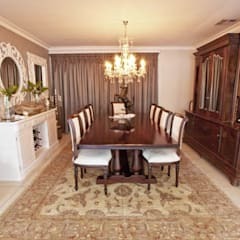 Texture- The dining room can have a new look by mixing and matching different textures. Mixing different materials can do this. The couches should have one look and feel to them. 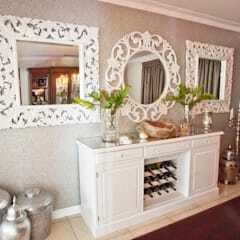 The art of the walls should be made from different materials to add some depth to the room. Flooring- There are a number of different flooring options that will relieve you of your duties for carpet cleaning. Hardwood is great for a clean and fresh look and also to keep things practical and functional. Since the area may experience a few spills over dinner lunch or breakfast. Art- A person can instantly give their dining room a new look by adding artwork. Bare walls make the room look plain and empty. This can feel too functional with no interesting pieces to look at. The more interesting the better since this could also spark interesting conversation around the table. 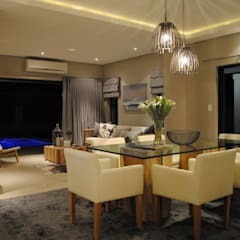 It can be overwhelming when you’re faced with such a wide variety of designs, but if you take a look at all the options on homify, you will soon be inspired by dining room ideas from South Africa and around the world too. 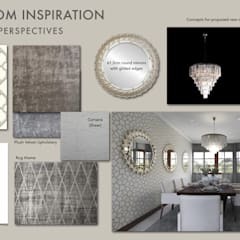 Everybody needs a bit of inspiration now and again, especially when it comes to decorating the house and you’ll soon realise what should be included in your perfect dining room, and you can be sure that you’re getting the design right. 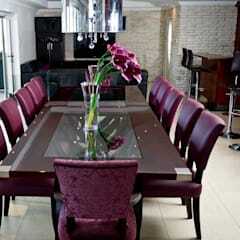 When choosing your dining furniture, you should always consider the design of the dining room as a whole. One single piece, no matter how interesting it shouldn’t dominate the whole room, although dining room tables do tend to be the focal point. 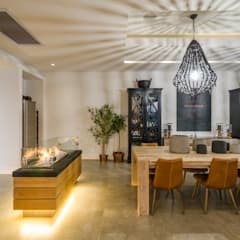 homify makes it easy to browse through hundreds of dining room ideas, from chic and modern dining room designs to eclectic dining room decor and classical dining furniture. There’s bound to be something which catches your eye, and thanks to the clever ideabook function, you can save the example for later and come back to it whenever you like. Too much wood can be a bit overpowering. 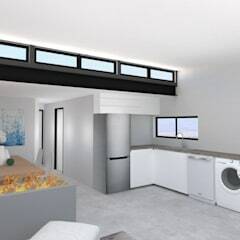 For those with a modern aesthetic, white is a popular choice for walls, floors, and even furniture. Browse through homify’s dining room images for some colour ideas. Dining room decor should help create a warm and welcoming atmosphere, however, and a few restrained flourishes of pastels or primary colours will help to achieve this. For a classical look, warm tones can be introduced through oak furniture or polished wooden cabinets. Dining room tables can also be decorated in colourful and patterned tablecloths to inject some personality into the room: when you want to tone it down, you can simply remove the tablecloth. Rugs are also a good way to introduce some colour without going too overboard—which colour you choose is entirely up to you. It's the area of the home that encourages you to celebrate your style. Take your time looking around the homify website to get inspired. What dining room ideas work well? 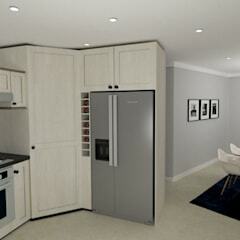 Most people prefer an open plan dining room leading from the kitchen. When a space is opened up this way it feels less formal and more like a warm home. The overall effect is warm, homey, and practical. If you're looking for a casual style for an open-plan kitchen dining area, then choose modest design elements like red-striped linens and industrial lighting. You could always rotate the seat covers for a fresh look throughout the year, a stylish low-maintenance seasonal change. Mismatched chairs in neutral shades add character to an open, inviting space. If you're short on square footage, a small, round table is a smart use of space. Textured pieces will soften up any space. If you’d like to bring in texture, a set of rustic, woven chairs always works well. A floral wallpaper in a muted tone will feel modern, which can balance a space that is filled with accessories like hanging pots and pans, bamboo cutting boards, and more. 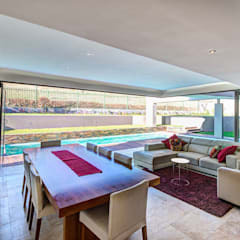 If you are lucky enough to have a light-filled room with a view, consider clean walls and airy window treatments. On the homify website you might find traditional and antique pieces, like Louis-style chairs which work really well with a fresh appearance with various neutrals sprinkled throughout the space. 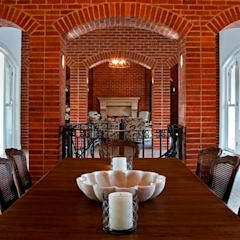 Some prefer to have only a formal dining room for occasional use. Consider having one traditional enough for Christmas lunch and cosy enough for sitting and relaxing every weekend. 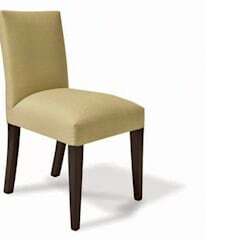 Cushioned chairs in a sophisticated pattern can keep white tables from feeling too stark. Whether you’re hosting a holiday dinner party or gathering around the table for a weeknight meal, the dining room is where people come together. Make sure the style of any piece of furniture you buy is the same, or at least complements, the colours and style of existing furniture colours. 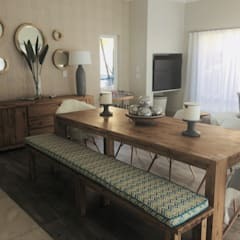 Also consider how the dining furniture will look in the room in terms of size, and make sure the measurements are appropriate. Shop around to find the perfect one for you, and view it as an investment, as a good quality table should last a lifetime! Avoid crowding the room with furniture and ornaments, and stay away from too many bold colours unless you’re aiming to achieve a quirky, eclectic look. 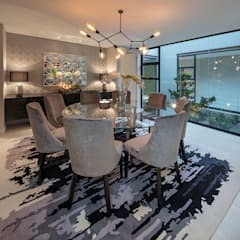 It’s likely you want your dining room to be a place where family and friends come together to share a nice meal and perhaps a few glasses of wine, so make it a cosy and welcoming space that facilitates this. A traditional table and chairs feels less formal when the room is filled with oversized extra seating, bookcases, and relaxed lighting. There should be a balance between style and functionality—you want your dining room to look good, but you also want your guests to be comfortable. 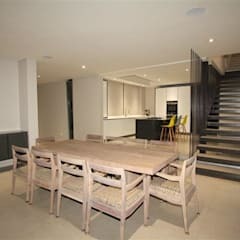 Dining room furniture could be for life if chosen correctly. Choose a style with longevity and invest in quality. In light of the above, don’t rush into buying a dining room table, or settling for the cheapest option as there is more value in longevity. 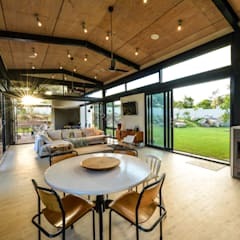 The best tip would be to stay true to your own tastes and your individual style, whilst keeping in mind the general rules about the size and positioning of the dining furniture, the moods that can be achieved with various colours, and the importance of the correct lighting. Which style for my dining room? 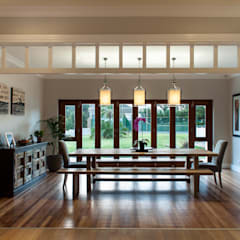 A country style dining room incorporates traditional furniture, usually made from oak or sturdy timber, as well as traditional white cupboards or cabinets, and wooden flooring. The walls are usually white or cream, and the overall colour scheme should be neutral, so avoid bright or dark colours. 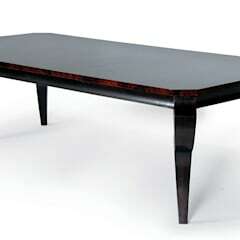 Modern dining rooms often have a minimalist design, with only a few focal pieces of furniture occupying the space. 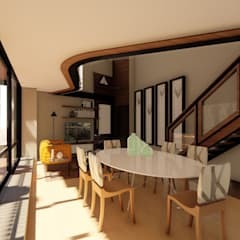 It’s good to play around with texture and materials in a modern dining room. 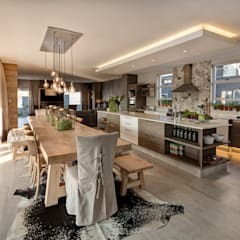 For example, you could choose a glass dining table, colourful chairs, and strip back the floorboards for a layered and tactile effect. Dining room design ideas for fans of the eclectic style are endless, because when it comes to eclectic interior design, anything goes! Eclectic style dining rooms are for the bold and adventurous, and really say a lot about the homeowner! Be inspired by Scandinavian design, and embrace the laid-back, fresh and natural look so commonly associated with this style. In a Scandinavian style dining room, natural hardwoods should be combined with white walls and simple but stylish furnishings. Keep things to a minimum for maximum effect. Minimalist dining rooms follow strict design guidelines. Minimalist dining room decor should be simple and clean: think exposed brick walls, well integrated storage systems, white walls and white or glass furniture..